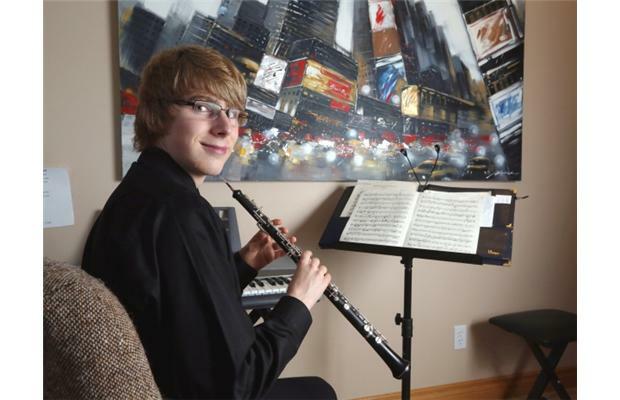 Photo courtesy Calgary Herald, Christina Ryan Mount Royal Conservatory oboe student and composer Trevor Mansell is in demand. The talented teen is off to study at Florida’s prestigious Lynn University on a full scholarship. Calgary musical prodigy attracts global attention | video. Conservatory oboist Trevor Mansell has made front page news. The 18-year-old Advanced Performance Program student found himself in the middle of a bidding war as four universities were competing to land him with full music scholarships. In the end, he went with Florida’s prestigious Lynn University in Boca Raton to study under the great Joe Robinson. Student and teacher met in Calgary in recent years after Mount Royal Conservatory invited “Oboe Joe” to teach masterclasses here. “Mansell recently declined multiple Canadian scholarships to study under Robinson at Lynn University in Boca Raton, Fla. Once his education is complete, many believe he will go on to perform in the some of the world’s most prestigious orchestras. “There are special kids, and then there is Trevor,” said Mount Royal Conservatory director Paul Dornian, who considers Mansell a “double threat” because he is as skilled at writing music as he is at playing. Trevor’s mother Tina Hazard tells us she’s gaining a new appreciation for Conservatory programming. Through the family’s travels to prospective universities vying for Trevor in recent months, it became clear that his Mount Royal training had prepared him at the highest level. “I realized going to these universities how special Mount Royal is. Trevor’s already had lessons from those same people, and he’s played most of that repertoire already. He’s already kind of done an undergrad, in a way,” Tina says. Mount Royal Conservatory is pleased to announce a new music course this fall, bringing the world of digital sound to musicians. 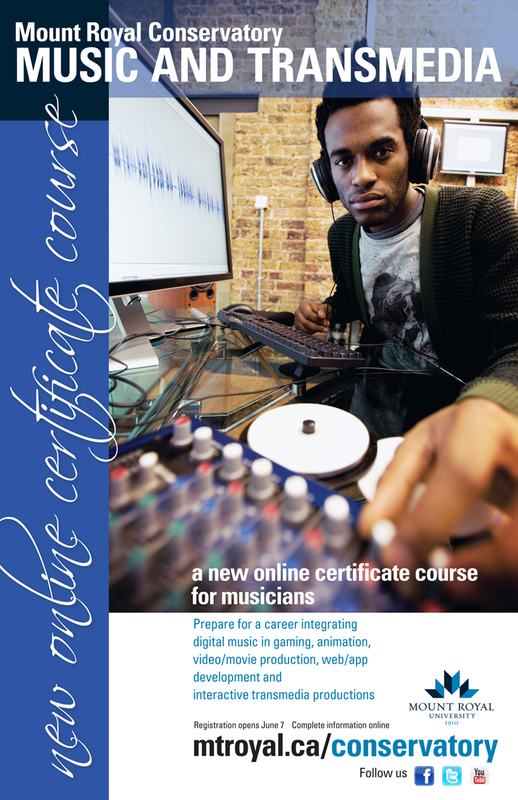 The Extension Certificate in Music and Transmedia is an online program designed for post-secondary music students and professional musicians interested in visual media and interactive storytelling. The Music and Transmedia program prepares participants to enter a career path in gaming and animation, video production, web and app development, and other forms of transmedia practice. Students will investigate the digital materials and techniques of music and sound environments in today’s transmedia world. “The music world has gone digital and the best creative minds now work anywhere at any time on their laptops to create the music we live by,” said Mount Royal Conservatory Director Paul Dornian. The program consists of eight required courses (180 hours). It includes field experience or a collaborative project with peers. Participants create an electronic portfolio as well. An 11-year-old Mount Royal Conservatory violinist is preparing to play solo at Carnegie Hall in New York City this month. Read story in Metro here. Watch Global News story here. Hear CBC Radio story here. Young violinist Amilia Hildahl won an honourable mention in this year’s American Protégé International Piano and Strings Competition. The talent competition sees young musicians ages six to 18 from across North America, Europe, China, Korea, Mongolia, Poland, and Russia vying for top spots. Amilia is taking to the famed concert hall’s stage May 26. “It doesn’t feel real when I stop and think about it,” said Amilia, who has been a Conservatory student since she was six years old. “I really do think I was suprised at the outcome. I didn’t think I didn’t have the potential, but I didn’t think I was there quite yet. But it’s something new and different to try out and it paid off,” she said. Amilia studies violin under Conservatory faculty member Elisabeth Szojka. 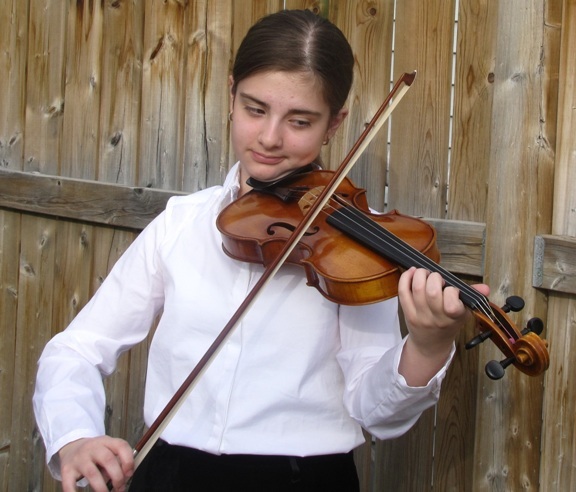 She also plays second violin in the Conservatory’s Junior Orchestra under Benn Neumann. One of the great advantages of studying at the Conservatory is the extensive array of musical activities that provide a complement to private instruction. “For our string students, an important adjunct to private lessons is our orchestra program – a series of six string ensembles that progress from a child’s first ensemble experience, culminating in the Calgary Youth Orchestra, a full symphonic orchestra that plays professional repertoire,” says Sheldon Nadler, the Conservatory’s Manager of General and Orchestral Programs. Amilia’s mother, Violetta, submitted an audition recording of Amilia performing Oskar Rieding’s Concertino in G op. 24, Sonata 4 in D minor variation 1 by Johann Christoph Pepusch and Hornpipe by George Coutts. “I recorded her playing and thought whatever would happen would happen. I was just looking to see what her potential is,” said Violetta. Music runs in the family for three generations: not only is Amilia’s mother Violetta a piano teacher, but her grandmother Isabella is also a violinist and teacher. For Amilia, the experience is worth the hard work and is sure to make a lifelong memory. “I work hard, that’s typically my goal. I work hard and get something done and get my breaks, do whatever else I need to do,” she said. Calgarians are at long last celebrating the darling buds of May, but Rubim de Toledo already has his eye on summer. This week, the jazz bassist will be visiting four different Calgary high schools — Central Memorial, Lord Beaverbrook, Western Canada and E.P. Scarlett. He’s singing the praises of the Conservatory’s summer jazz workshop Aug. 11-15. REGISTRATION OPEN NOW! “I love that the camp has something for everyone; junior high, senior high, university and adult students all benefit as we have seven different combo levels,” says de Toledo, director of the summer jazz workshop. “Everyone can be comfortable and be assured that they will surrounded by students at their level but will also get that push that helps students improve,” he said. 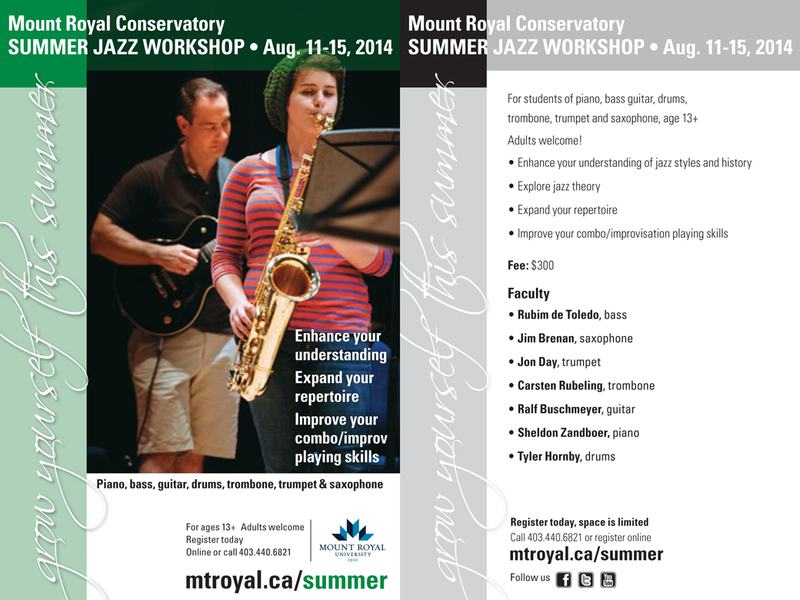 The workshop is for all students of piano, bass, guitar, drums, trombone, trumpet and saxophone, ages 13 and over. Adults are welcome.